I'm going to put this right up front: you're about to dive into my wholly biased opinion. I try to remain as open as I can when covering these types of news bits on a daily basis. This one, however, hits a little too close to home to slap a fair dose of discussion on and call it a day. 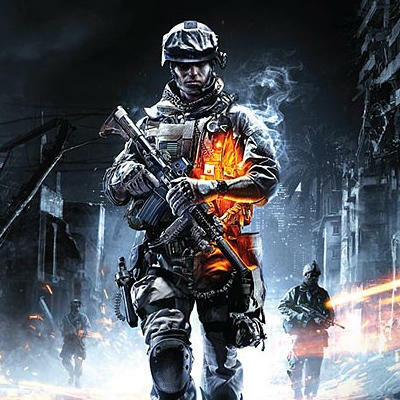 EA has forced pre-order exclusive DLC on a franchise that's been widely known for fantastic customer service and satisfaction, DICE's Battlefield 3. Claim battlefield superiority this Autumn! The Battlefield 3 Limited Edition: Physical Warfare Pack is now available for pre-order exclusively at GAME and Gamestation in the UK. Players can storm the battlefield armed with powerful weapons and items only available in the Physical Warfare Pack including the Type 88 light machine gun with bipod for superior firepower and total zone control, the SKS sniper rifle flash suppressor that provides increased stealth abilities for Recon soldiers, and the lethal armour-piercing flechette ammo for the DAO-12 semi-automatic shotgun that is sure to tear through anything in its path. Also included is day one access to the highly versatile DAO-12 semi-automatic shotgun itself. Once news hit the net, angry fans mobbed the gaming section of Reddit with talk of boycotts and nerd rage. I'm with them. The fact of the matter is this: making gamers select which DLC they want from a game by picking a specific retail location is awful for several reasons. First off, you're selling an incomplete product to everyone else. You're actually taking development work out of a game and making it exclusively available to a limited audience. Moreover, you're forcing gamers to pick on variety of DLC. When you spread this stuff across several stores, the only way for fans to get the full experience would be for them to buy the game everywhere. Are you kidding me? Minecraft creator "Notch" summed it up perfectly on Twitter: "When I make a movie, it will have different exclusive scenes added to it depending on what cinema you go to. #subtle"
Credit is due to Reddit here for working to actually out this issue once and for all. They've boycotted EA for this one before. It came during Battlefield: Bad Company 1. Back then, EA decided to roll over on their decisions and move in favor of the fanbase. Hopefully the same will happen here. These store exclusive pre-orders have to end.